Martyn Hesford's comedy-drama about the life and times of tortured comic Kenneth Williams based on his diaries. Finicky,hygiene-obsessed comic actor Kenneth Williams,living in a flat block with mutually adoring mother Louie,looks back on his life. At loggerheads with his homophobic father over his career Kenny fulfils his dream of becoming a classical actor but is spun off into comedy,allowing full rein to his crowd-pleasing array of funny voices. A compulsive,often selfish performer off-screen,he becomes a national treasure following the radio show 'Round the Horne' and the successful series of film farces 'Carry On'... though he is disdainful of the latter,given that he once trod the boards with Orson Welles. Privately he is a tormented closet gay,sickened by his sexuality,unlike his friend,promiscuous playwright Joe Orton,and desperately asks his 'Carry On' co-star Joan Sims for a show marriage,which she refuses. Ultimately Louie's death,his own hypochondria,a down turn in work and a sense of his own isolation will result in a fatal encounter with a bottle of tablets in 1988. Regions are unavailable for this movie. 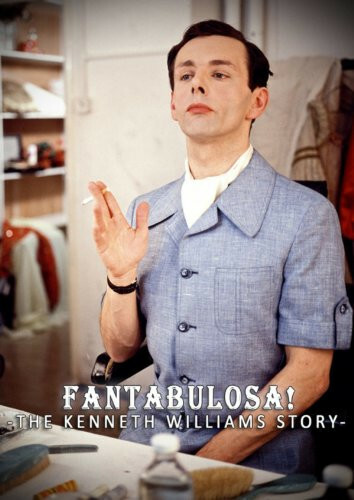 Click the "Watch on Netflix" button to find out if Kenneth Williams: Fantabulosa! is playing in your country.